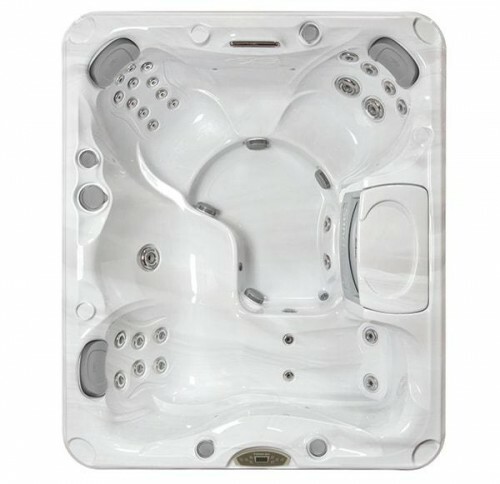 With room for up to four adults, the Montclair™ spa features a petite lounge seat and a low profile for easy exit and entry. 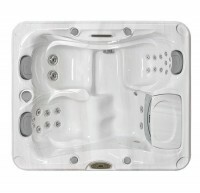 This compact spa offers specialized seats configured in a popular size and shape. A petite, series-exclusive spiral-action lounge seat helps muscle and join tensions drift away as you enjoy a full-body massage. An Accu-Pressure™ Therapy Seat relieves tired muscles, stress and tension through deep-tissue pressure in this series-exclusive seat. And, the rifling action of both deep tissue and pressure point swirling massages helps you escape discomfort and strain. A petite, series-exclusive spiral-action lounge seat helps tension in muscles and joints drift away as you enjoy a full-body massage from your shoulders to your feet. Relieves stress and tired muscles in your neck, shoulders and back through deep-tissue pressure in this series-exclusive seat. The combination of rifling action and pressure point swirling massages, each customizable for intensity, help your muscles escape discomfort and strain.